“Our view of the future affects how we feel and act in the present. 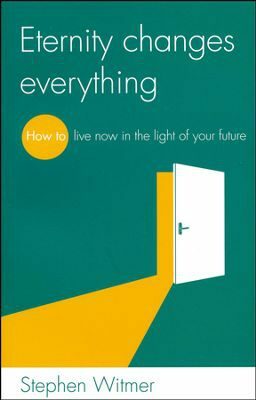 So this book is about our eternity, and it is about our now–about the total difference that knowing what lies ahead of us makes to how we view our lives, and live our lives, today.” You can be excited about where the world is heading and be certain about where you are heading. And be thrilled as you see how your eternal future can transform your life right now–how eternity really does change everything.